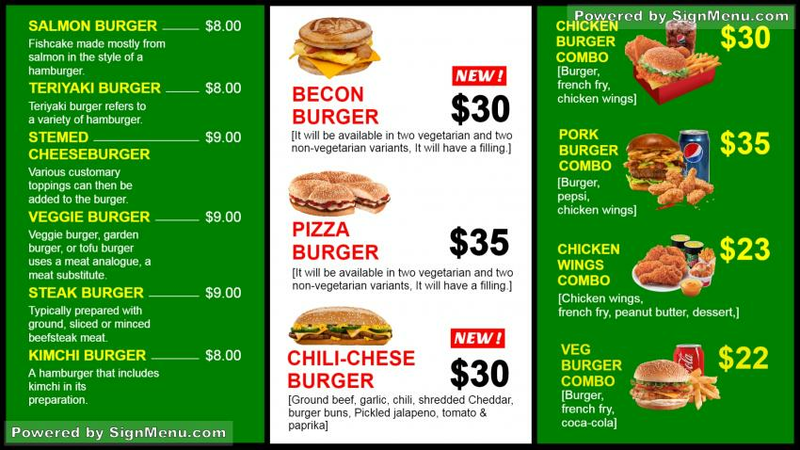 This template of a burger specials restaurant is best showcased at the entrance of the restaurant as well as indoors, on a digital signage menu board. Fast food restaurants sell what they make. Hence, the restaurant can promote certain items which it feels will sell more and provide better profit margins. At the same time, it should also engage more with its customers to find out their tastes and preferences. This template is ready for download and use.